Fhold Each model includes input voltage ranges from 200Vac to 480Vac. 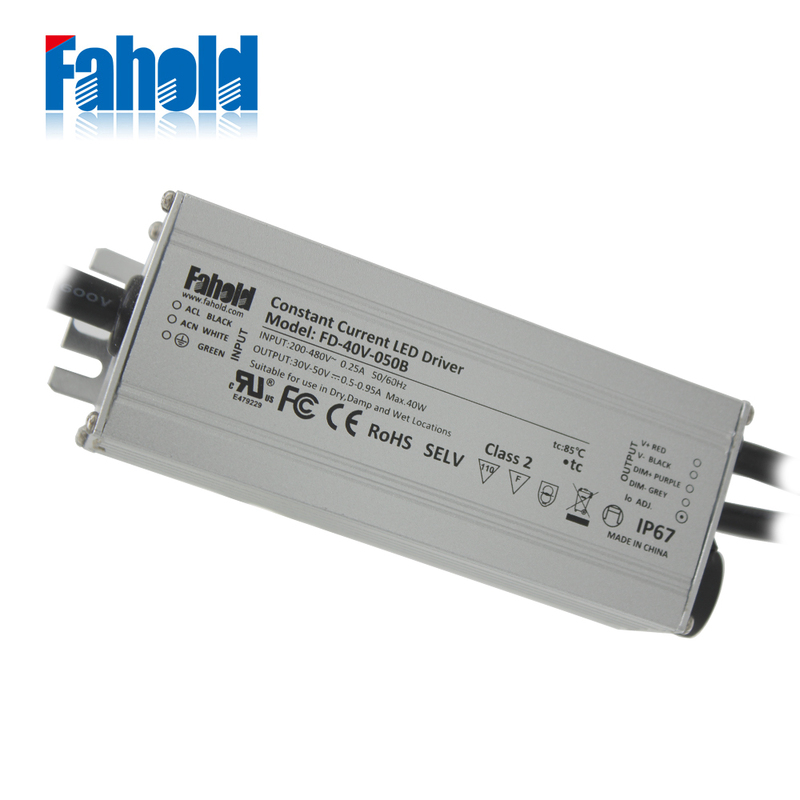 The FD-40V Constant Current driver offers fixed and dimmable output models. Some models are Class 2 rated. 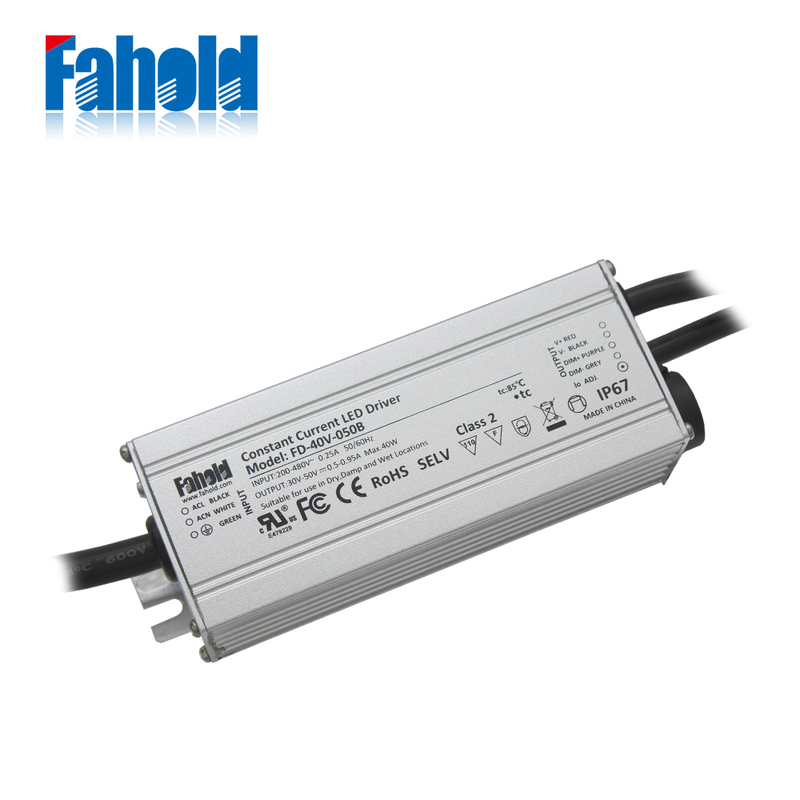 The FD-150V is also a constant current driver, offering fixed and dimmable output models. The FD-240V is a constant voltage driver. All models feature aluminum housings and are IP67 rated--making them suitable for applications subject to moisture. They offer over-voltage, over-current and short circuit protection with automatic recovery to keep luminaires performing. The drivers are UL Recognized for both US and Canada, and are CE certified. Looking for ideal Dimmable Programmable Class 2 Driver Manufacturer & supplier ? We have a wide selection at great prices to help you get creative. 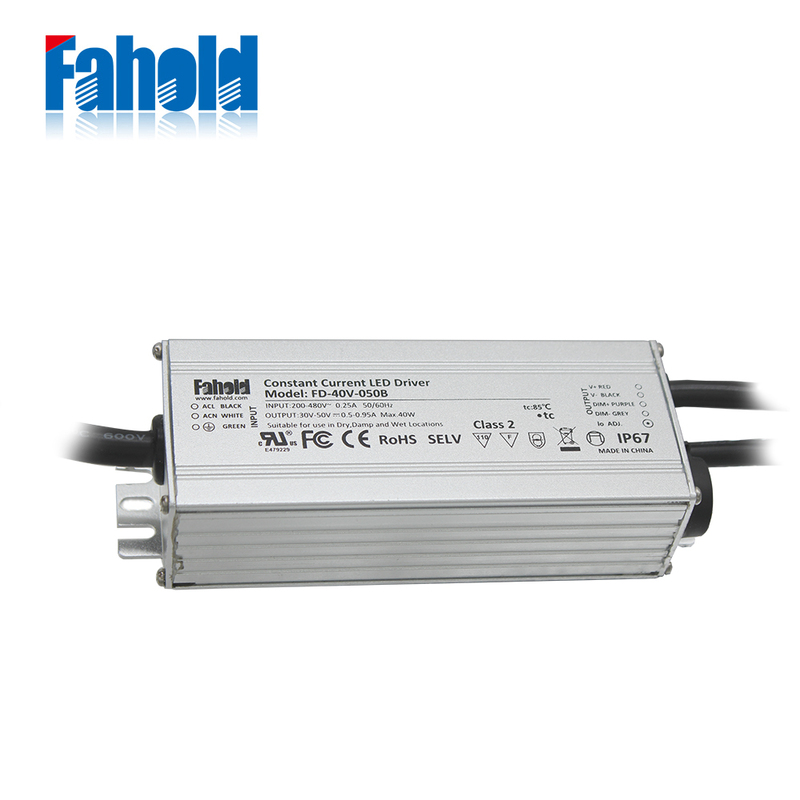 All the Single Output LED Power Supplies are quality guaranteed. We are China Origin Factory of 347V and 480V Source Voltage. If you have any question, please feel free to contact us.